Collected here are links to articles that involve the various armies that I own and use in my games. 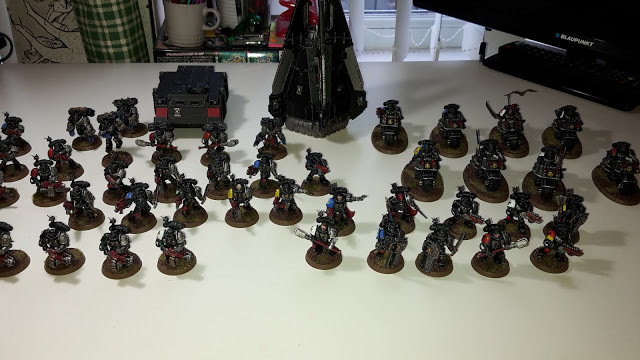 My first army in 40k and one of my favourites. 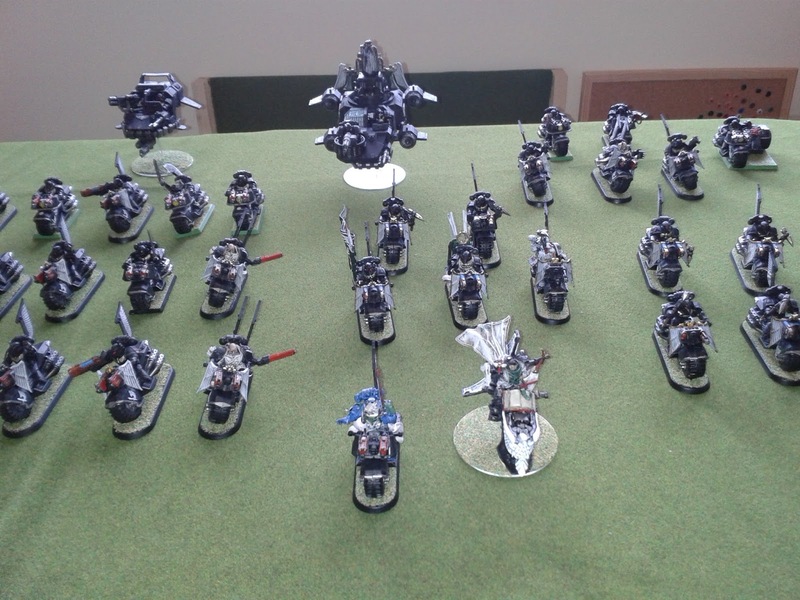 I particularly enjoy running an all Ravenwing force in my games. My favoured tournament army, they got a lot of play in 7th edition. 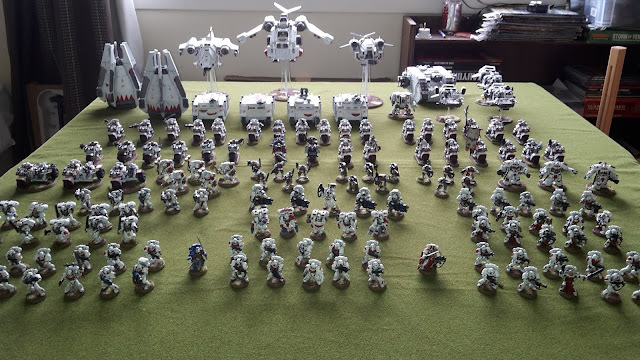 My most recent Marine army, I love the colour scheme and the elite nature of the force. My Lootas-themed Ork army featured a number of "looted" vehicle conversions and some "borrowed" weapons from Imperial armies. 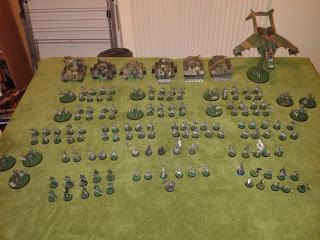 I was inspired to start a Guard army after reading the Gaunt's Ghosts series novels for the umpteenth time. The army features a standard Cadian colour scheme with some camo patterning on the vehicles. My most recent addition to my armies. This force is just starting out. 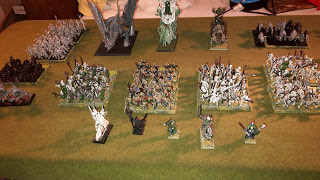 The Undead were my very first army when I started wargaming. 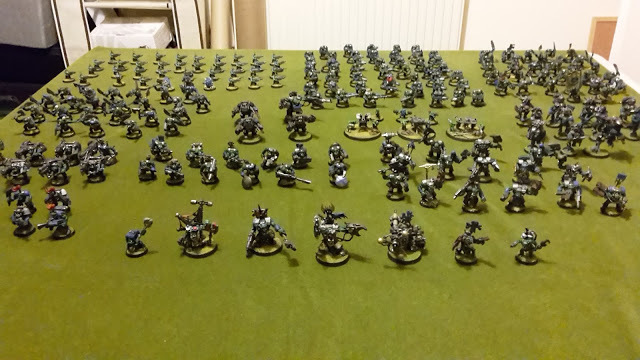 They fell out of favour for a while as I got into 40k, but I returned to them with the release of the End Times. I am currently trying the army in Age of Sigmar. Alright Fella, is there still such a thing as a Saint Andrews (fife) wargaming club? Just want to see if there is anything locally within the Saint andrews area. Cheers in advance. As far as I am aware, the only club in St Andrews is DICE, the university gaming club. I'm not sure if non-students are allowed to go. If not, there is an awesome gaming club in Dundee. Have a look for Dundee Wargames Club on facebook to find them and get all the info. They meet every Wednesday in Dundee from 7 pm. Hope that helps. cheers my man, will do.